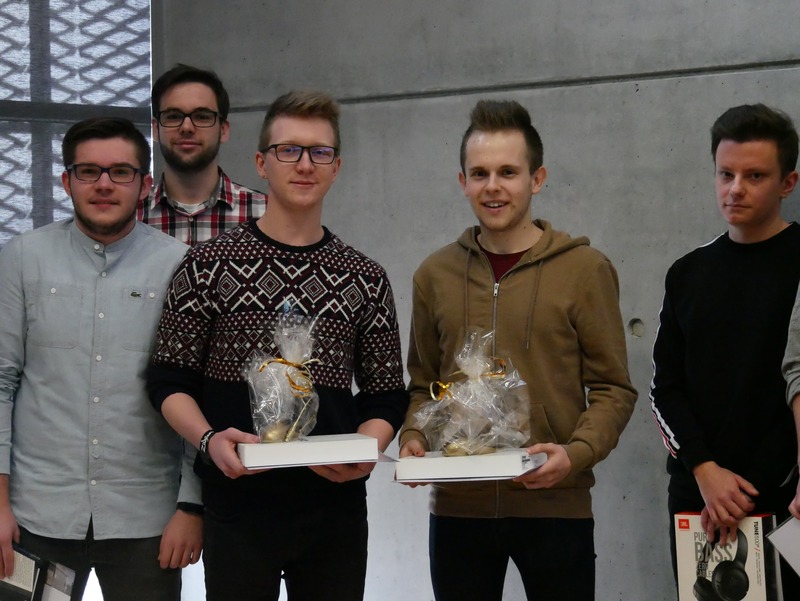 The 20th edition of the Golden Mouse Competition was won by students of the Faculty of Computer Science and Electronic Economy at the University of Economics in Poznan - Arkadiusz Psurski and Eryk Rutkowski - the creators of the electronic translator of the legal language and contracts. The competition is addressed to first-year students attending information classes in the first semester for information technology classes run by the employees of the Department of Information Technology. Every year, professional business projects are created in two-person teams using the latest information and mobile technologies. The projects cover four stages: investor, business, technical and post-project, including a partial implementation of the website in PHP and HTML technology. The works of 150 students were evaluated by the Competition Committee, which included employees of the Department of Information Technology, with the chairman in the person of prof. Prof. Wojciech Cellary. Awards in the form of electronic devices were funded by Santander Bank Polska as part of the Santander Universidades program. Their presentation took place on January 22, 2019.